Corner Block Tungsten Bucking Bar is widely applicative in multiple industrial sectors ranging from aerospace to nuclear. It is made up of supreme quality of pure tungsten on a wide scale for military fitting motives and many more. As such kind of ''Corner Block Tungsten Bucking Bar'' is heavier in weight, it is significantly used to reduce the vibrations. 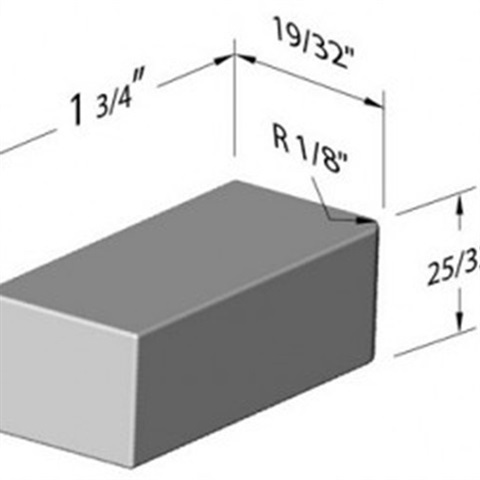 Corners of this block bucking bar are of comparatively lower radius to prevent it from damages. This durable and highly efficient in nature Tungsten Bucking Bar is available in customized forms as per our clients special request at affordable market prices.